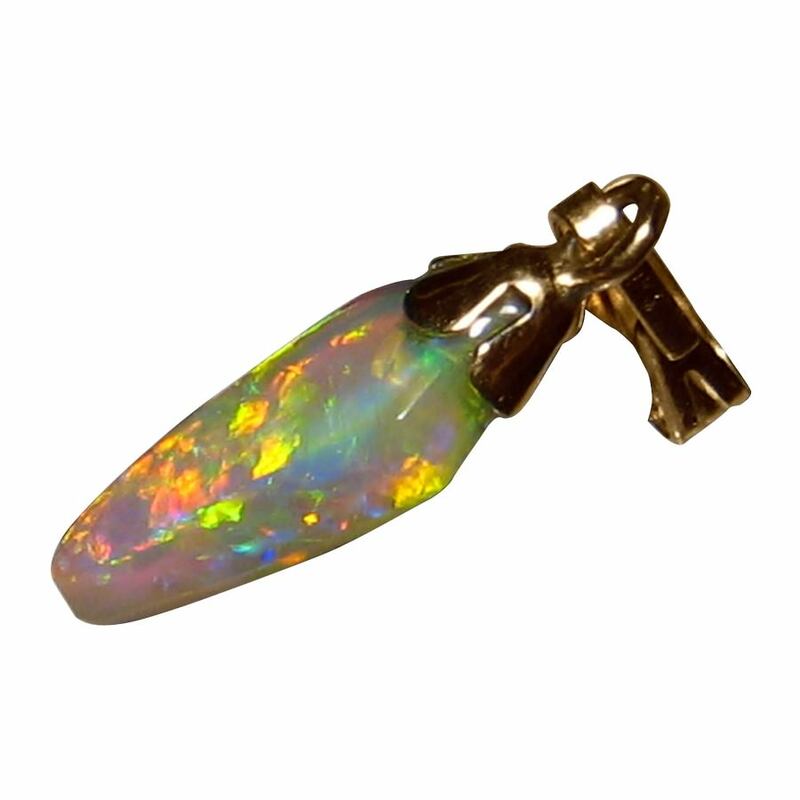 This pendant is a gem Lightning Ridge Crystal Opal that that flashes a unique mix of colors that are vibrant and will be noticed from across a room. 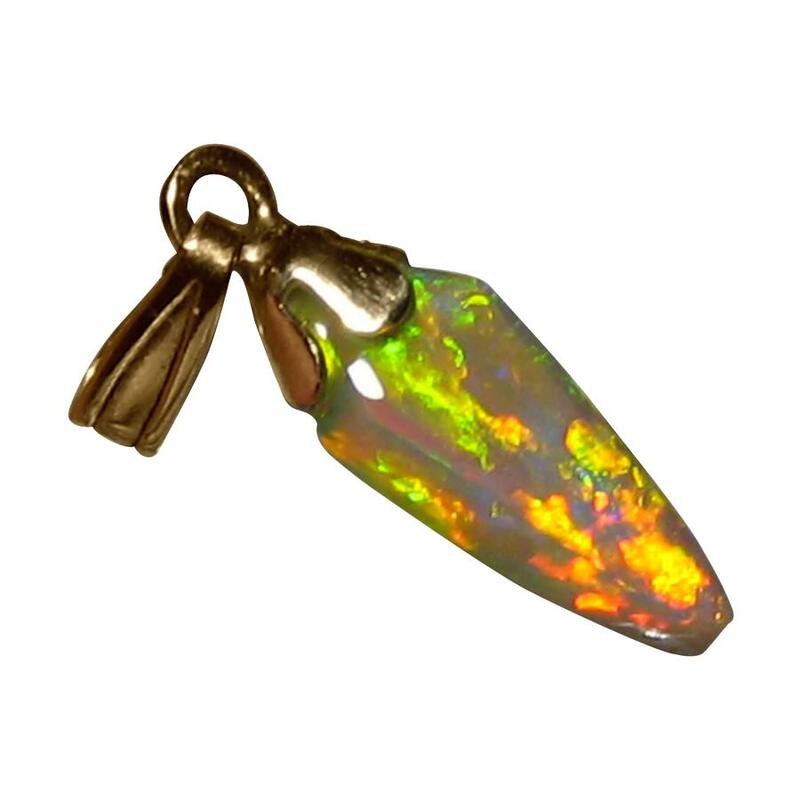 The Opal is set with a 14k Yellow Gold bell cap and bale with the finished pendant measuring almost one inch from top to bottom. Watch the video below to see the lively play of color and the smooth finish on the Gold that is not captured in the images. It is ready to ship now but does not include a chain.